When designing and sending emails, privacy is a concern. So how does Mail Designer 365 keep your data safe? 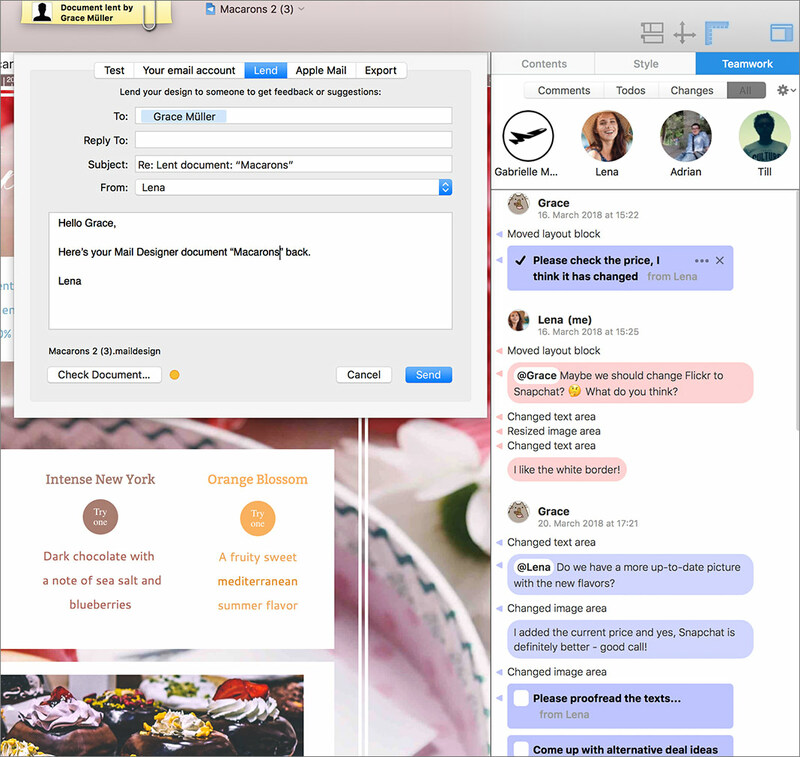 As a real Mac app, Mail Designers 365 lets you do all your design work locally on your Mac and stores your designs there as well. 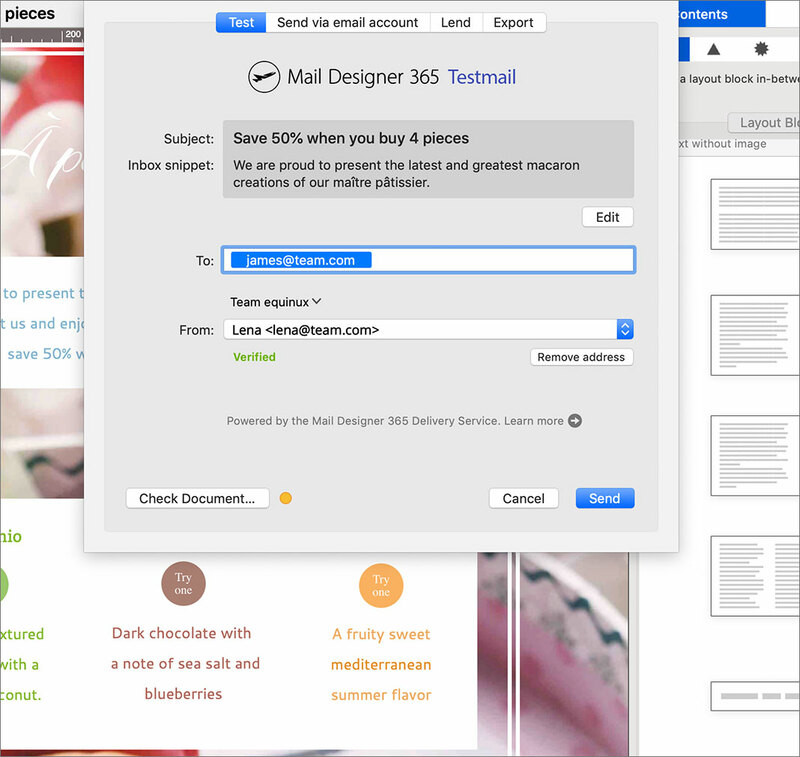 You can quickly send a test message using the Mail Designer 365 Testmail service. The email will be sent through our servers to your recipients. Alternatively, you can also send via your own email account. The entire message and all images will be sent through your email provider and never touches our servers. The Lending feature has also been designed with privacy in mind, so you can send your design including comments via your own email server to a colleague, for feedback or changes. Any future features that make use of cloud services will be clearly marked as such and require your login – so only you, or your Team, can access your data.